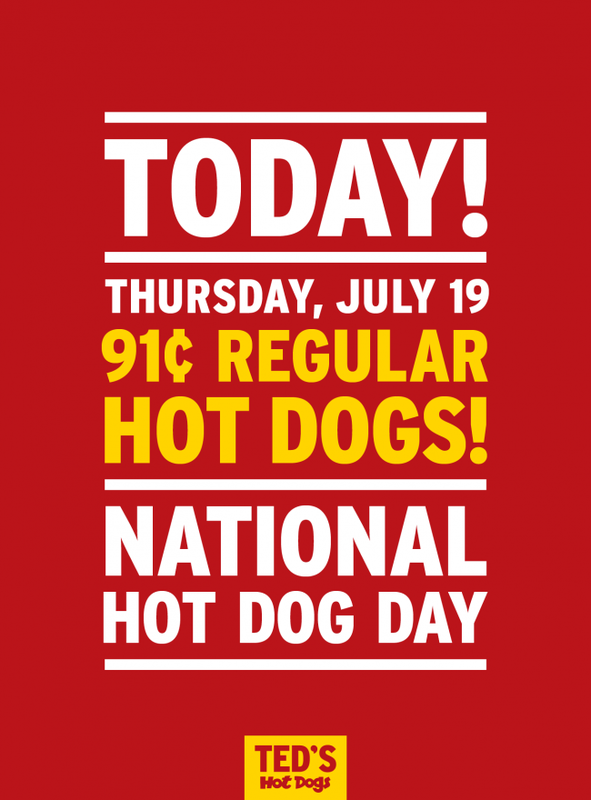 Ted's Hot Dogs invites customers to celebrate National Hot Dog Day as it celebrates its 91st birthday with unlimited 91-cent regular hot dogs at Ted’s all day long. Why: National Hot Dog Day! KISS 98.5’s DJ Anthony and WGR 550’s Sal Capaccio will both be broadcasting live and giving away prizes at our Union Road location in Cheektowaga. Catch DJ Anthony from 11am–2pm and Sal from 3–6pm. 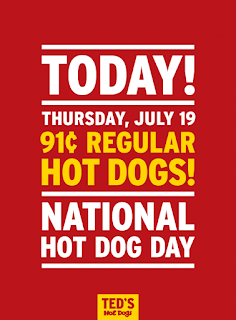 *OFFER VALID FOR REGULAR SIZED HOT DOGS ON JULY 19, 2018 ONLY. ALL CHARGED TOPPINGS ARE REGULAR PRICE.